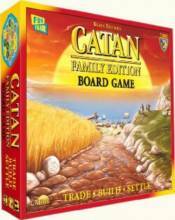 This New edition of the Settlers of Catan Board Game features a six piece reversible board allowing for more replay value than the previous Gallery Edition. Get together with friends or family. Learn to play in about 15 minutes. Then enjoy countless hours of fast-paced fun!